1. 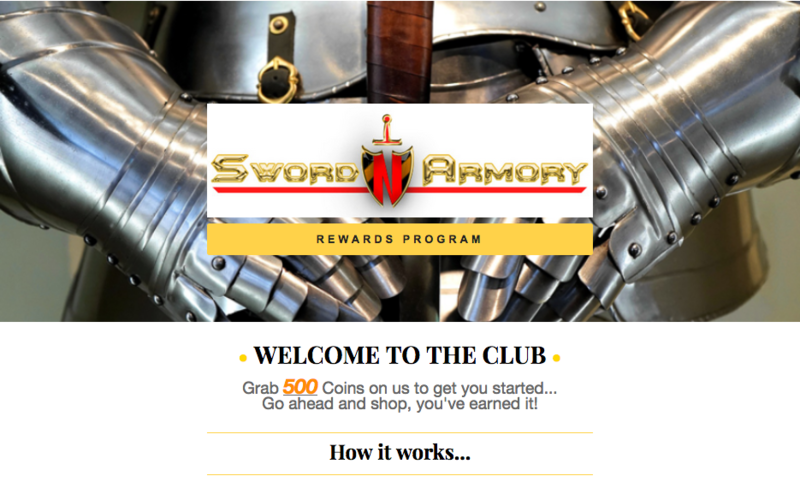 It's easy - Sign up for Sword N Armory Rewards and become a member. 2. For a limited time, when you sign up and become a member, you'll receive 500 Coins on us! 3. 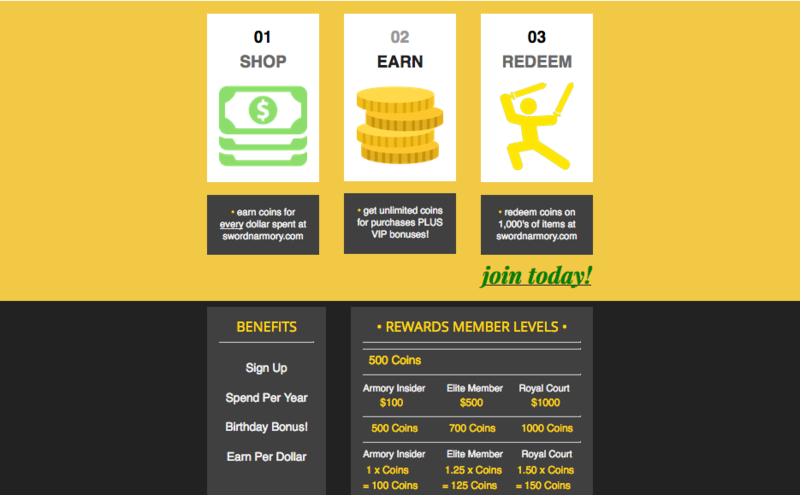 Once a member, there's plenty of ways to earn and redeem coins.